Colourstrings Music Classes gives your child the opportunity to enjoy music from the earliest possible age. Attending a class supports the development of their musicality as well as their social and emotional skills, their creativity and confidence. Led by musician Naheed Cruickshank (BAHons, GSMD) each class involves songs, rhymes, actions games, percussion instruments, puppets, movement to music and live instrumental music. "Naheed is an outstanding teacher. Her classes are so much fun and she has a wonderful way with both parents and children. " 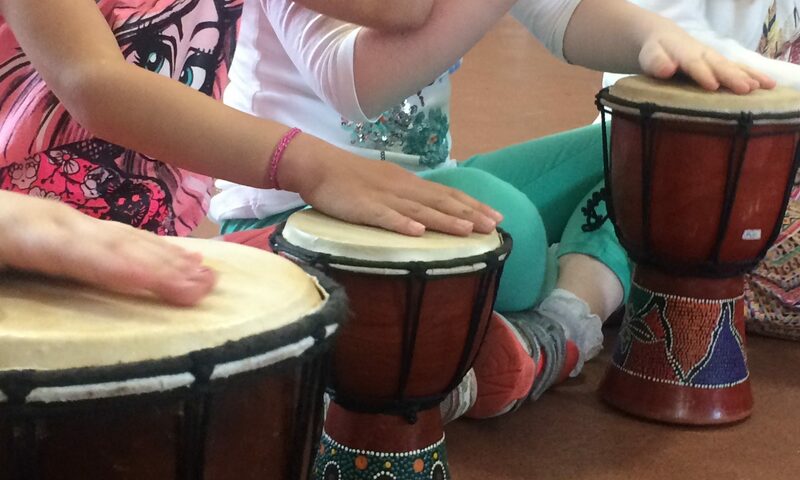 "My daughter feels secure in the weekly structure, the circle time and rhymes, the beat keeping, the movement and she is learning so many social aspects as well as gaining a love of music. " "Naheed is warm and engaging and her love of music is infectious. She has inspired much singling in our house and has given my children the building blocks they need to pursue music at the next level."